A Twinkle Co L-Series ladderpump dredge is the best choice for aggregate production from medium and deep depths. Like our other dredges, L-Series dredges reflect our design philosophy of rugged simplicity. 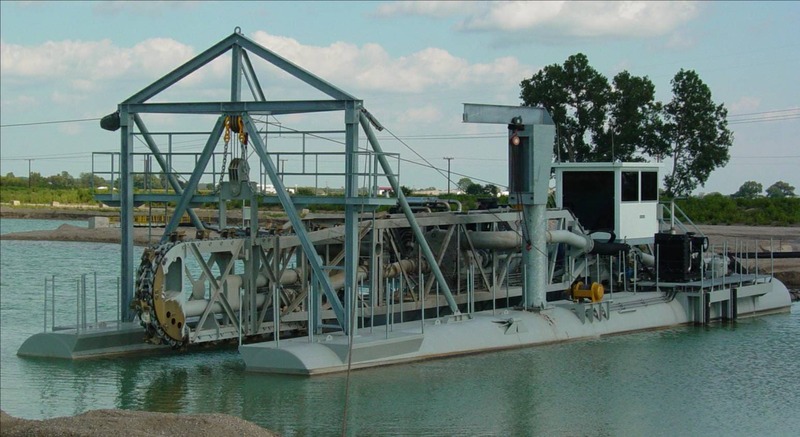 The result is a dredge that is efficient, productive and easy to maintain. Our dredges look different because our design approach is different. We design and build mining machines that float, valuing function over form. Freed from the suction-side limits of a hullpump, ladderpump dredges are capable of very high rates of production. 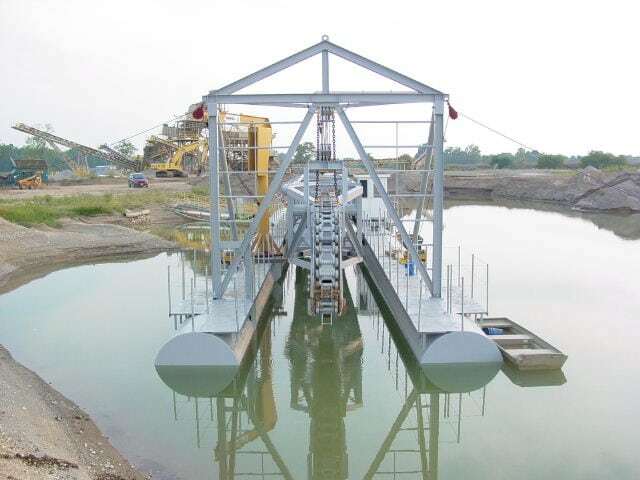 The potential of a ladderpump dredge can only be realized if the dredge is equipped with a cutter to make solids available at the suction inlet, combined with instruments and controls to monitor and maintain continuous production. We developed the Linear Cutter, LCAP, LADDERVAC and CONVAC systems with the goal of maximizing the potential of the ladderpump. These systems are standard equipment on L-Series dredges and are available to retrofit on existing dredges. 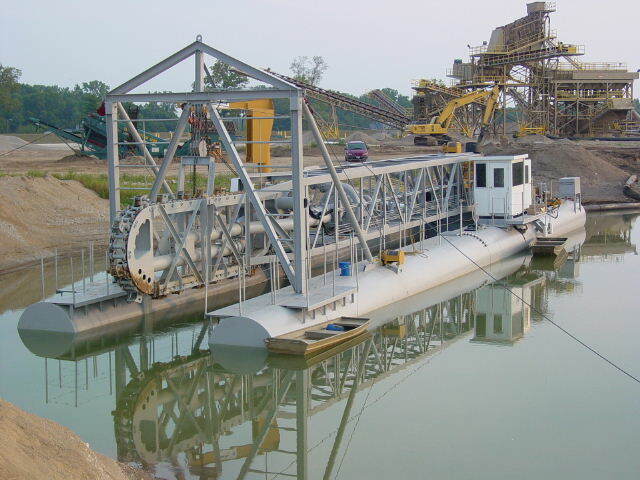 Available in discharge sizes from 8″ to 16″ with diesel or electric power, rotary cutter or Linear Cutter, each L-Series dredge is built to meet the needs of the individual customer. 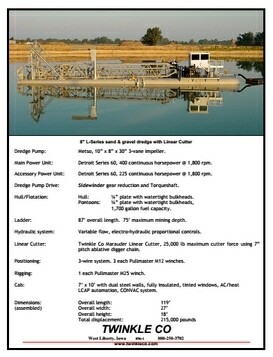 Contact our sales department to find out what an L-Series dredge can do for you.